March is Endometriosis Awareness Month. As someone who has struggled with endo pain myself I know what you’re going through. And if you do have endo, or suspect you do, it can be hard to believe we NEED an awareness month because you are aware of it CONSTANTLY. I’ll be talking through Managing Endomteriosis and you’ll leave with practical tips you can implement right away. Hi, Facebook, how are you? Happy Thursday. I am here with you guys and it was touch and go for a while because as you can tell, my voice is not 100%. I’ve been dealing with loss of voice since about Sunday and it’s made for an interesting week because I’ve had to reschedule things, because a lot of what I do requires me to speak, so that’s been fun. Anyway, I’m so happy I got to keep our appointment today with our Thursday Facebook lives. As you guys know, or if you’re new to me … First of all, welcome and I thank you so much for being apart of this community, but as you guys know, I come live every Thursday to talk to you, you, about how to reawaken your health on every level. I have a lozenge in my mouth. Mentally, emotionally, physically, and nutritionally. It is my mission, my goal, my hell yeah in life, to help you and me heal ourselves on every level so that we can be the best damn version of ourselves. Because when we take care of ourselves, we heal the generations to come. A lot of you guys know me as a fertility expert. Someone who helps … I’m going to take this out of my mouth. Where is … A lot of you guys know me as a fertility expert. Someone who helps women get pregnant, and that’s true. Sure. I’ve written a book or two about the thing. I got this guy, Yes, You Can Get Pregnant. This baby helps a lot of women get pregnant, which is amazing. I’m honored to be a part of that journey, but what I really do is I help women heal themselves emotionally, physically, nutritionally, spiritually, on every level. And when they do that, in the process, they learn how to nourish themselves. They learn how to mother themselves, they learn how to step into it their freaking awesomeness, their power. And guess what? From there, things become more balanced. Hormones get optimized. You believe in your body more. You’re kinder to your body, you treat yourself with more respect and more care. And voila, we’ve made a hell of a mother and she’s going to get pregnant and she’s going to have a baby, and that baby is going to be raised by a strong woman in a strong family unit and that baby is going to help add value to this world. That’s my mission. That’s what I really do. And I love that. I love knowing that. I feel good about that. I feel good because I’ve learned a ton about myself over the last 15 years since I’ve been in clinical practice helping women heal themselves and men. And as I learn, I share with you. Oh, yeah, and Beth just mentioned, Instagram and Facebook. If you’re not following me on Instagram, you should ’cause I got an awesome giveaway going on right now. Instagram people go over to my latest post, the post that’s a picture of me with James and the bed. I love that picture. Christa Meola, shout out to that awesome photographer who got that picture. There’s a giveaway going on for International Day of Happiness, which was yesterday. And yeah, you guys enter the giveaway, get some good free products from me. How fun would that be? Okay. And then also maybe I should have mentioned it now, hang tight to the end of this live ’cause I’ve got a free meditation for you, which is all about me and senior fertility. And I also have another awesome free deal, which is really valuable, so stick around to the end and check it out. Okay? Today’s topic, I know there are so many women dealing with this. I think it’s something like 15% of women are diagnosed with this condition and something like 40% of women having fertility challenges have this condition. It is known as endometriosis and it’s not fun for those of you that are dealing with it, you know. A lot of women have pretty raging symptoms from this disease, which is things like bad cramping with your period, heavy menstrual flow, lots of spots, IBS-like symptoms during your menses or all month long. And now we also know about the MTHFR and how common that is with endometriosis. And we know about other autoimmune conditions that are lending themselves to endometriosis. A lot of endo girls have celiac as well, or at least a pretty bad gluten intolerance, which a big difference between celiac and gluten intolerance obviously, but that they can’t do gluten. 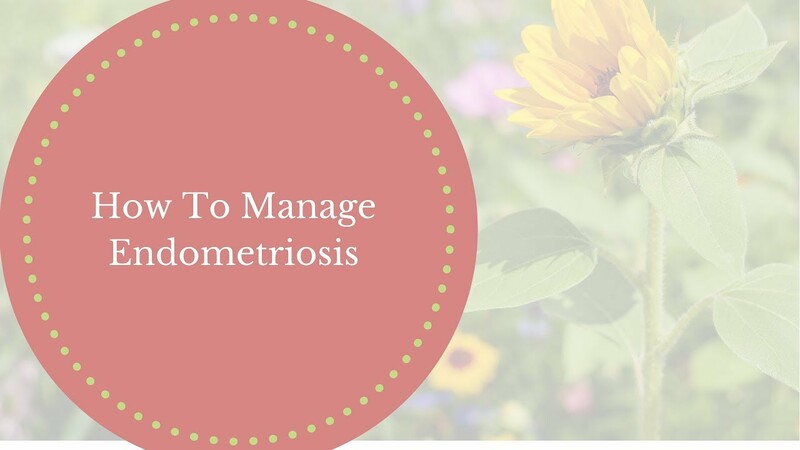 I’m here today to talk to you kind of quickly give you an overview of what I do clinically to help my team manage endometriosis … Not my team, my clients manage endometriosis. I also want to, before I get into what I do recommend, what I don’t recommend. I see a lot of information out there on evening primrose oil and its use in healing or treating endometriosis. And I want to say right now, hands down, clinical expert talking over here, 15 years of clinical experience, thousands of women I worked with all over the world. I do not recommend evening primrose oil. It can worsen your condition. It can help a very few amount of you. What tends to happen with evening primrose oil, it will help your symptoms for a couple of months, maybe three months, and then it starts to worsen again. People in the health world recommend it because it’s high in GLAs, which is gamma linolenic acid, which is basically the omega six, good omega six, fatty acids. There’s lots of other things that are high in GLA, there’s lots of other things that can help you. What has not been proven is that evening primrose oil tends to be known as a phytoestrogen. It has, we’ll call it … It basically can mimic estrogen in the body. And so it’s a weaker estrogen as some scientists have claimed. And what that means is it’ll bind to estrogen receptors in your body. Most endometriosis girls tend to be estrogen dominant. So you have excess estrogen symptoms, like the endometriosis symptoms. And so what evening primrose oil will do in the short-term is it will bind to those receptors and help your body get rid of the … The stronger estrogens can’t bind. And so it in that short period of time, helps reduce your estrogenic symptoms. But over a longer period of time, especially if you don’t clean up your diet. If you’re not doing things to support your liver in detoxing, your symptoms are going to get worse. Because now you have the plant estrogen and you have your estrogen in there that’s not being cleared out, so I do not recommend evening primrose oil. There’s very specific cases in my clinic where I recommend the evening primrose oil. Otherwise, I say to avoid it, just like you need to avoid soy, you need to avoid gluten, and you need to avoid dairy, and sugar like it is the plague. I am not kidding. If you suspect you have endometriosis or you’ve been told you have endometriosis, this is not a joke. These foods will exacerbate your symptoms in a bad way, and if you’re trying to conceive, it’s going to be a roadblock for your conception. Gluten, dairy, soy, sugar, evening primrose oil, do not use them. I know there are some other women’s health experts out there that say to use evening primrose oil, and some of them are peers of mine and friends of mine and I tell them to their face, I full heartedly, wholeheartedly, disagree with them. Another women’s health expert that I love and admire and learn from all the time, Aviva Romm. She’s a medical doctor. She’s Yale trained. She’s also an herbalist. She does not recommend the use of evening primrose oil, unless specific cases. She’s on a couple research papers that basically show … I just want to read you one of them. A six month randomized double blind placebo controlled trial was conducted with … This was on menopausal women to see evening primrose’s effect on estrogen regulation. Participants were randomized giving 2000 milligrams of evening primrose oil and 40 milligrams of vitamin E. 21 women discontinued the study because they were having poor side effects. And then what basically the small amount of women that were left, they showed no change in symptoms whatsoever from placebo to the evening primrose. Another study showed that a systematic review identified seven placebo controlled studies for evening primrose oil. They all were severely flawed and two of the highest quality studies fail to show any benefits of evening primrose oil on PMS or endometriosis. Also, keep in mind any of these studies were short-term. They weren’t done more than three months. They were very, very, very small. What I have seen, again, clinically is I used to recommending evening primrose oil back in the early parts of my practice until I started to see client after client that their symptoms were getting worse. If you are on evening primrose oil, I strongly recommend that you stop it. And instead, replace it with things like spirulina. That’s my go-to replacement. Things like pumpkin seeds and sunflower seeds also really help. Question, what are your natural ways to improve progesterone? I’ll get to that, but it’s really not covered in today’s conversation. We’re talking about endometriosis. But remember that, to me, it’s never just about one hormone. You have to have them all working in conjunction with each other. So we need estrogen to do its thing in the follicular phase. We need the luteinizing hormones to do its thing during ovulation. Then we need progesterone to do its thing during the luteal phase. And they’re all actually present all month long and we need them all to do their thing all month long, so it’s all about balance and synergy all month long in your life and your daily life. How do you take spirulina? I recommend it in the tablet or powder form and take us directed basically on the bottle. I like the brands, Nutrex Hawaii, Organic Spirulina, Garden of Life makes a really good one as well. If you read Yes, You Can Get Pregnant. I have my recommendations in there are. I’ve been recommending spirulina for over a decade. And to me, it’s like nature’s multivitamins, but it also is a great source of these gamma linolenic acids. You do not need the evening primrose, and then I will in fact urge you to get off of it. Another thing that some of the health experts talk about out there is to avoid red meat if you have endometriosis. This is another thing I disagree with. I agree that if it’s red meat from poor quality animal sources, you should never eat it, no matter who you are, whether or not you have endometriosis. But if it’s grass fed, good quality meat, it’s nutrient dense, it gives you good sources of essential fatty acids that your body needs. From a Chinese medicine perspective, it’s also really good at tonifying the blood and and enriching the blood which every woman needs, especially during her fertile years, and then especially if you’re trying to balance your hormones. You need good quality red meat in your life. I’d say three to four ounces, two to three times a week. You could do more, you could do less, but do not avoid red meat. You do not need to avoid red meat. You need to avoid poor quality red meat. Any of the studies that are showing that red meat is inflammatory are flawed. They’re epidemiological studies, which is basically bogus in the world of science and they’re not tested on people who ate good quality meat. They’re just tested on commercially raised animal protein that is raised with grains and soy, and really these animals are eating really poor quality foods and getting pumped up with hormones and pumped up with antibiotics. So no one should eat that meat. You should never eat that meat, but no matter who you are. But if you’re dealing with endometriosis, I do not want you avoiding red meat, okay? You want to be making sure that you’re eating enough vegetables to balance your red meat intake or any of your protein intake. You want up to six to eight servings of vegetables a day. And for the estrogen dominant types, the endometriosis types, they need to be cruciferous vegetables and in the carrot family. Those are the best at helping your liver detoxify. In Body Belief, my latest book, I have my liver support juice, which is in here, which just get yourself a copy of Body Belief is what I really recommend. But I’ll read you the ingredients because it is the best for supporting liver detoxification. And if you have endometriosis, you want to be drinking this every single day. I make it like a soup. You use beets and carrots, two of the best things for detoxifying the liver. Ginger, tumeric, cilantro, dandelion greens, amazing for detoxifying the liver, parsley, lemon, black pepper, sea salt and garlic. That is … Beets, lemon, dandelion greens, parsley. There’s spinach in here, isn’t there? Oh, carrots, beets, ginger, tumeric, cilantro, dandelion greens, parsley, ground black pepper, sea salt and garlic clove. The ingredients, again, are all in Body Belief. This book right here. Get the book. If you have endometriosis, you have an autoimmune condition. This book is all about how to heal and manage autoimmunity. So this is the diet you want to follow. You want to take that liver support juice every day. It’s one of the best things to help your liver detoxify and get rid of that excess estrogen. A question just came in, “Is the only way to check if you have endo through surgery or laparoscopic?” That technically is the only true way to diagnose is through either a pelvic MRI or laparoscopic. Yes. And if you really want to know, I recommend it. If you just suspect or you have bad painful periods or you don’t even have bad painful periods, but you haven’t been getting pregnant and you’ve been trying and you have other autoimmune conditions like eczema, psoriasis, IBS-like symptoms, brain fog, body aches, rheumatoid arthritis, psoriatic arthritis. You need to follow an autoimmune style diet like Body Belief, and you will help get your fertility and your endometriosis under control. Even if my girls do have endometriosis and they do do surgery, I still strongly recommend they follow the body belief diet because it will change their game when it comes to their fertility. Not getting any action on Facebook with questions or comments. Are you guys there? I don’t see anything going on Facebook. Instagram’s blowing up over here. You guys are awesome, but I don’t see much going on on Facebook. Maybe someone chime in with a question or a comment if you guys can, I see that there’s people watching, but I don’t see any comments. What’s going on? Again, stay tuned. I’m going to give you … If you guys want, we’re like 20 minutes in, I got a free meditation for you. It’s a free fertility enhancing meditation. Here come the questions and comments. Look at this. Free fertility enhancing meditation. 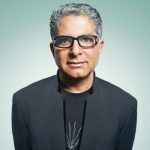 If you go to AimeeRaupp.com/freemeditation, it’s yours, and then if you want more of how to manage endometriosis on an emotional, physical, nutritional level like the details, I am doing an hour and a half, 90-minute live training tonight in my Ultimate Fertility Membership, which is $22 a month and you get everything under the sun that I’ve created for just $22 a month, except for my Yes, You Can Get Pregnant e-course and private coaching with me. But everything else you get and you can get it for free right now. Go to AimeeRaupp.com/ufm. When you’re checking out, use promo code First Month Free. You get the first month for free so you don’t pay that $22 and you will get my live training tonight. You could do it where I just sign up, get the live training, check out the tools and then cancel. No money has been exchanged, and you get an hour and a half live training with me tonight, which is about a $600 value. That’s pretty incredible. And I’m going to walk my girls through step-by-step what you need to be doing emotionally, physically and nutritionally to manage and heal endometriosis. So you don’t want to miss it. Like I said, I’ve been treating endometriosis for 15 years with great success. I’ve had girls that were told they needed surgery and they didn’t get surgery and they still got pregnant naturally. Girls at 42, girls at 44, girls at 35. I mean, you name it. I have helped it, so please. Can you … Okay. Let’s see. We’ve got more questions rolling in. “In my IVF cycle I was given three shots of Lupron. How long did the benefits lasts?” I’d say like six months, the benefits last. I would still follow the diet in Body Belief to get the best bang for your buck. The Lupron can suppress the endo, yes. “Can you manage endo without surgery? Can diet help manage it if I don’t have symptoms?” Yes. This is the diet, Body Belief. This is what you gotta do. And then you also have to act like gluten, dairy, soy, sugar, and evening primrose oil is an allergy. Do not take evening primrose oil if you have endometriosis. Please. I don’t think you should take evening primrose oil at all, ever, unless you have been diagnosed with severe estrogen depletion and/or at menopause and/or 35 weeks or more pregnant. And I’m using it to help ripen your cervix. Let’s see. Other questions? “After surgery, I managed my endo with the Body Belief diet. We love you.” Go, girl. I love it. Six months already. Yay. “Sugar as in an all types, even in fruits?” Sorry. No added sugars. No more than 10 grams of added sugar a day. Now we’ve got questions on Facebook rolling in. “I have terrible constipation and basically bunny style stool. Sometimes it gets hard to work. I’ve tried it on natural remedies. I eat lots of detox veggies. I’ve done IAP, still not helping. Any ideas?” Not enough water, not enough fat. Not enough magnesium. Oh, so that’s another point for you guys. I have a couple of tips. I’m getting off track here. Magnesium, you guys should all be on magnesium. I recommend it. I make a magnesium oil. If you go to AimeeRauppBeauty.com, my magnesium oil. It’s $11. It’s cheap. You can also make your own magnesium oil. Wellness Mamma has a great recipe or take Epsom salt baths every day. You need magnesium. It helps a lot with hormonal imbalance. Helps with a lot of the symptoms of endometriosis. It would help with constipation, Helen. Magnesium Oil, B complex. You need a really good quality B complex. I’m a big fan of Thorne, Designs for health. Those are two really good companies. Liver, I recommend liver in pill form for nature’s B complex or eat liver every day. “They are now advancing technology biopsies for markers.” Yeah. There is, I agree, Olivia. Thank you for bringing that up. You can do this test instead of [inaudible 00:21:57]. It’s called the ERA test and it basically is an endometrial biopsy for receptivity and you can … It’s not 100% diagnostic, but you can see if there’s markers of endometriosis in your uterine lining. I think that’s a really good marker. You can also see if you have endometritis any other infections in your uterus, which could be compromising your ability to get pregnant. There’s also some doctors who’ll do natural killer cell analysis and you could do that blood work, but also an endometrial biopsy. If natural killer cells are high, it’s usually indicative of endometriosis. So Olivia is totally right. And thank you so much for bringing that up because I kind of almost forgot. This book right here helps you with a lot of those diagnoses and those tests. But the endometrial biopsy is something that I think every girl should do, especially if you’ve done IVF with genetically normal embryos and you haven’t gotten pregnant. You need to do an endometrial biopsy, and get them tested for endometriosis, endometritis or any bacterial infections. “Will the live training be recorded I’m not available tonight?” Yes, it will be recorded and in the UFM, it will go back up in your members site. UFM members will have access to live training. Okay. Thank you. Okay, great. So let’s see. “Sugar as an all types.” Okay. So the other things I want to go through. I think some good questions that just came up. How to get tested for endometriosis. Yes, a laparoscopy or a pelvic MRI. You can also get an endometrial biopsy. You can get tested for natural killer cells. I do think that the biopsy and looking at the killer cells in the uterus specifically is the most accurate way to do it. But blood work can test for natural killer cells and if they are high, it’s a strong indication that you have endometriosis. Obviously, if you have painful periods with heavy cramping and clotting, I think there’s a greater likelihood of endometriosis. Another thing that I see clinically is girls that get the HSG test, the tubular test, the test that’s to see if your fallopian tubes are open. If that’s very painful for you, to me, that’s a strong indicator of endometriosis as well. “Can I take Clomid in Endo?” Sure. But it might exacerbate symptoms. You might have really strong side effects of that because you’re estrogen dominant and Clomid causes estrogen to pool in your body. Again, one thing I would do before really going on any additional hormones or fertility treatments is to really follow a diet like the Body Belief diet and autoimmune paleo style diet. Make sure you’re not doing gluten, dairy, soy, sugar, added sugar, evening primrose oil. Really clean all that up. Support your liver in detoxifying, taking supplements like spirulina, magnesium, a really good B complex. You make sure you’re on a high dose of a fish oil. I want upwards of two teaspoons of fish oil a day. So that’s double what the normal doses on most of those bottles, okay? I’m a big fan of Green Pasture’s fermented cod liver oil or Rosita’s cod liver oil. Nordic Naturals also makes good fish oil. Carlson’s no more. They use soy oil in their fish oil, so stay away from Carlson’s. I’ve stopped recommending that as of a couple of months ago. But you really need a good high dose of fish oil. You need upwards of six servings of vegetables in your diet every day. Ideally, cruciferous vegetables are in the carrot family, good quality animal protein, lots of bone broth. Vitamin A, I’ve heard recently that the book, It Starts With the Egg. She recommends no vitamin A. I strongly disagree with her, strongly disagree with her and if you know her, you can tell her that. Vitamin A is imperative for fertility and for hormone balance, you get that from cod liver oil. You get that from liver. Vitamin A is a fat soluble vitamin that should not be avoided. You need vitamins A, D, E and K for healthy hormone balance. That is why I recommend liver and that is why I recommend cod liver oil. If you read that book and you’re following that protocol, please add back in vitamin A-rich foods like cod liver oil and liver, okay? Thank you. “I have endo, when I have menses heavy cloths is from the shedding of the lining?” Yes. And you probably have a clotting factor disorder. Most endometriosis girls also have the MTHFR genetic mutation. Another thing you need to be certain of is that you are using a supplement that has methylfolate and not folic acid. Aimee Raupp is a licensed herbalist, natural fertility expert and acupuncturist in NYC, offering natural fertility treatment, care & coaching solutions to women who want to get pregnant! Get pregnant fast with natural fertility care, Aimee’s online fertility shop & coaching solutions. Aimee Raupp has helped hundreds of women to get pregnant naturally! Aimee and her team are experts in Chinese Medicine, Massage & Eastern Nutrition! Get pregnant naturally, achieve optimal health & vitality, take control of your health! Aimee is excited to work with you at one of the Aimee Raupp Wellness Centers NYC. Aimee’s Fertility Coaching Program is a personal guidance along your fertility journey. If you are trying to get pregnant naturally, this program is for you! 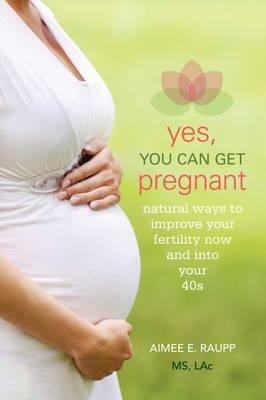 Aimee Raupp offers holistic, wellness and natural fertility books. Learn how to enhance your fertility and get pregnant naturally with Aimee’s cookbooks and diet guides! Shop Aimee Raupp’s natural fertility shopwith online workshops, videos, consultation and coaching on fertility, meditation and healthy nutrition!